This week is all about the Sun and the aspects he makes to the planets. 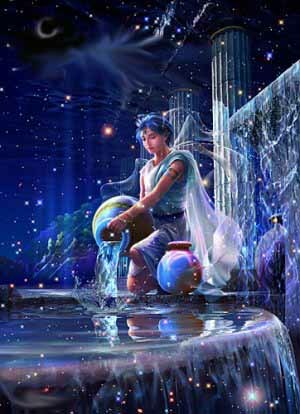 The big aspect happens on Monday – Sun conjunct Neptune at 21 degrees Aquarius. Expect a powerful and dramatic individual (Sun/Leo) to call on our hopes and dreams and music (Pisces/Neptune) tapping into our collective and group goals and will to work as one. You may be caught up in some new music or a film by an artist that calls on your soul to make a change that benefits not only you but the world. Or you may see or hear a speaker that asks for collective change to help and serve humanity. Hear it. Spread the word. When our soul is inspired, we relax, breathe easily and are less angry, depressed and stressed. In the middle of the week, Venus and Mars inconjunct at 24/25 degrees. Venus in responsible Capricorn may try to pull you into pastimes that are highbrow: perhaps erudite discussions on the merits of Australian painters at the Art Gallery and then gourmet meals with an excellent bottle of wine. Mars in inquisitive Gemini can’t be bothered and wants to be off to watch the latest popular movie, mixing with the masses and counting how many ugg boots and trackydacks they can see in the cinema. An inconjunct is uncomfortable so don’t be surprised if you get caught between the two, perhaps two friends fighting over what to do on Wednesday night. Advice? Don’t stress it. Those with Gemini inclinations can fit in anywhere and will end up having just as much fun counting Louis Vuitton handbags as ugg boots and the Venus in Capricorn will probably bump into an important contact outside the cinema and be chuffed. Valentines day will be influenced by a beneficial Mars trine Sun. Both are in Airy signs: Mars in Gemini and the Sun at 25 Aquarius, so we won’t be wallowing in dark candlelight dungeons for some one-on-one romantic (or otherwise) action! Expect honest declarations and clarity in communication than silent and passionate seductions. What is discussed this day will be what you remember later – more than the sensuous activities that the Taurus moon may bring. One line will warm your heart for a long time to come. We finish the week with the Sun sitting on top of the North Node at 27 degrees Aquarius (and opposing the South Node) . As this year’s Aquarian chapter comes to an close (and a day later, Mercury is turning Direct) consider what has inspired you, affected you deeply and called you to action in the area of group activity. Americans have been through a challenging month of election issues (very Aquarian), sports teams are finding their best ways of working and we all are considering our mission within the greater good. Have you been thinking about the role your friends play in your life? Has a friend (close or otherwise) introduced you to someone or something that brings you closer to whatever you feel is your mission in this life? Look for offers and challenges at the end of this week, from friends, that make – for a moment – everything very clear indeed.